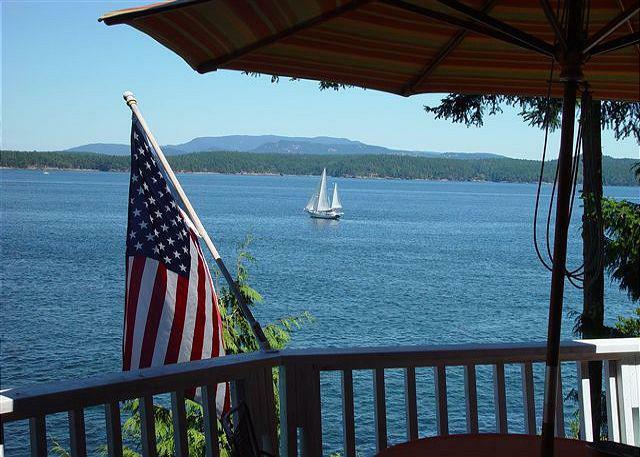 WATERFRONT VACATION RENTAL HOME NEAR FRIDAY HARBOR ON SAN JUAN ISLAND This vacation home on San Juan Island perches right over the sea. 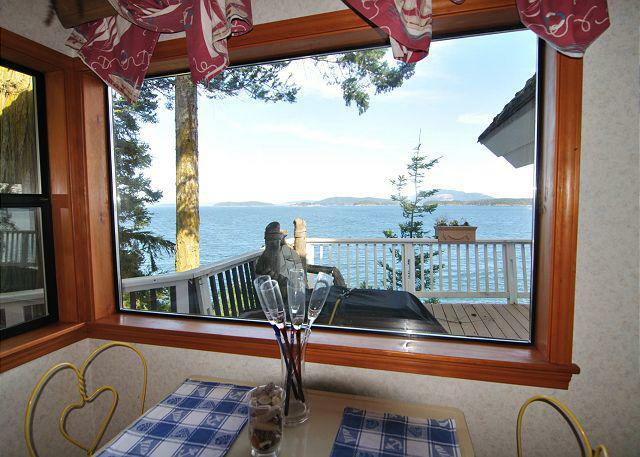 Amazing views of the water set the stage for a classic Island vacation - in fact there's so much blue water right out front of the windows that you sometimes feel like you're on a boat! 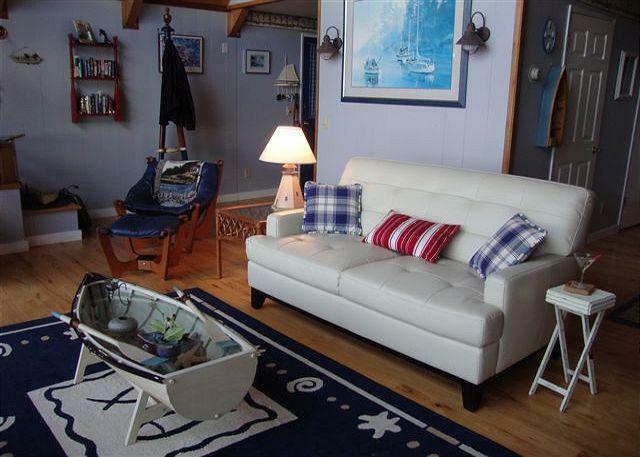 To enhance that sensation, the decor has a distinctive nautical theme! 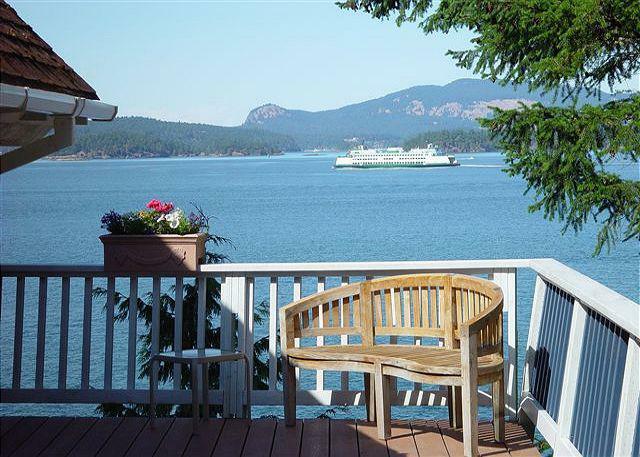 Just imagine the serenity of sitting on the spacious deck looking over deep blue waters, taking in the wide open views of neighboring islands and passing boats. The same elemental view is also framed in the vaulted windows of the living room when you come indoors. The styling is casual, warmed by rich colors in every room, a blend of European chalet and northwestern cabin that make for a very cozy environment. The chalet has a three level floor plan. From the parking level, you come down two flights of stairs to enter the home on the mid-level. The living/dining areas face the water. The living room has a new TV and a pellet stove for extra warmth. 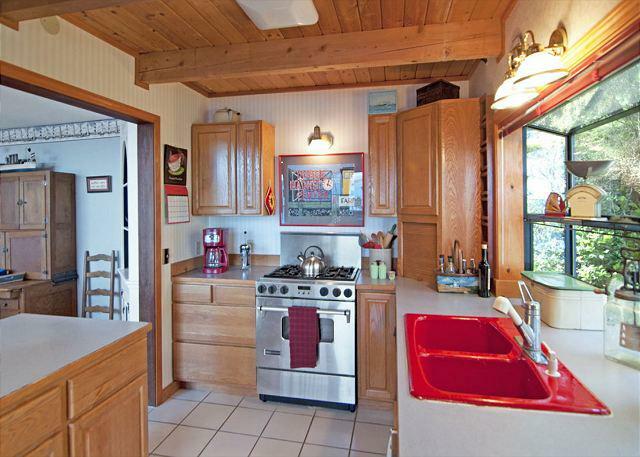 The kitchen is very well provided and guest cooks will love the commercial-style propane range. There's also a little bistro table at one end of the kitchen that is a wonderful spot for morning coffee or a glass of wine before dinner. 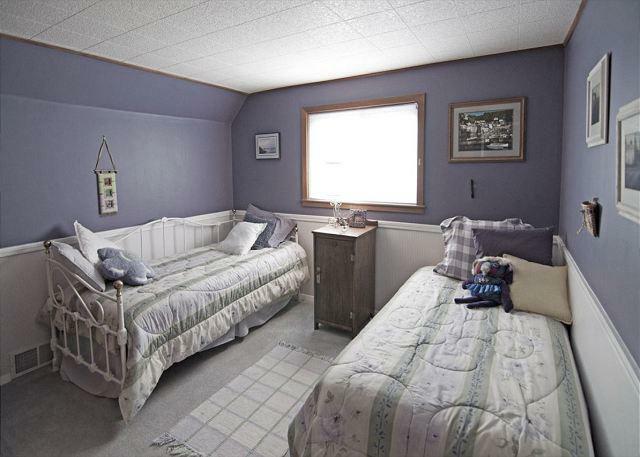 Two bedrooms and a full bathroom are located on this main level as well. 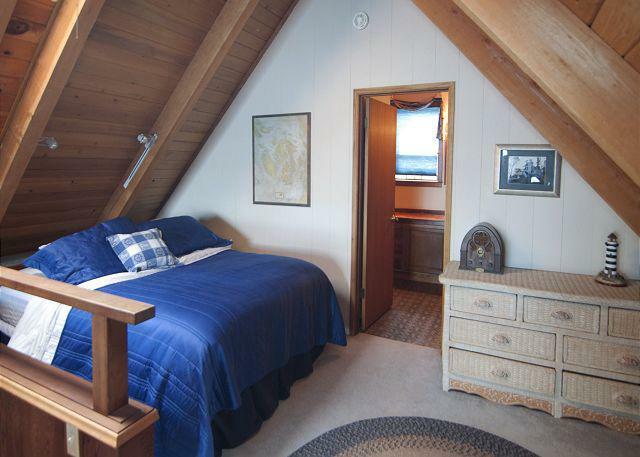 The upper loft functions as the master bedroom because it has a sitting area, desk, and private bath. It's open to the living room so that the water view can be enjoyed through the windows that extend up two stories in the living room. 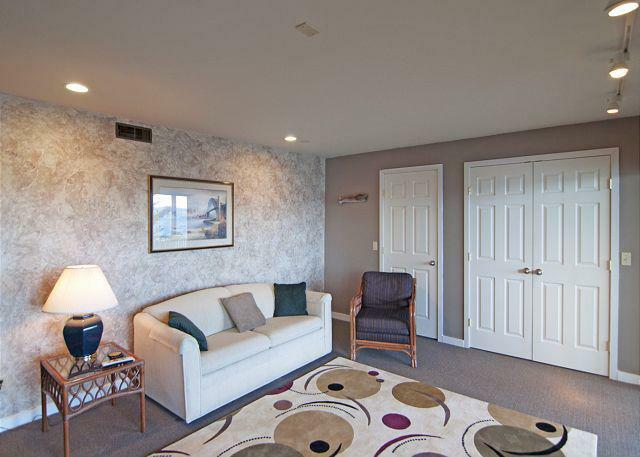 The lower level has been recently updated with new paint and a larger second TV and sofa in this area. In addition, this level of the home offers a third bathroom with shower, laundry room, and an entry onto a lower deck as well. 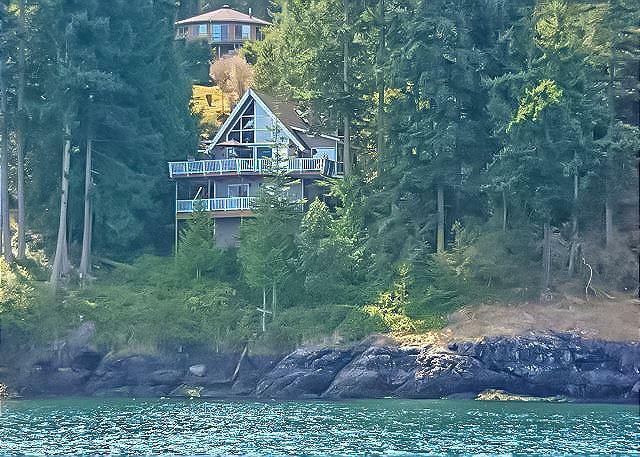 Washington Way Chalet is only a five minute drive from Friday Harbor and the ferry landing, where you'll find the community theaters, art galleries, lots of restaurants, grocery stores, and fun shopping! • Travel Insurance – Unexpected Things Can Happen, We Highly Recommend You Purchase Travel Insurance. 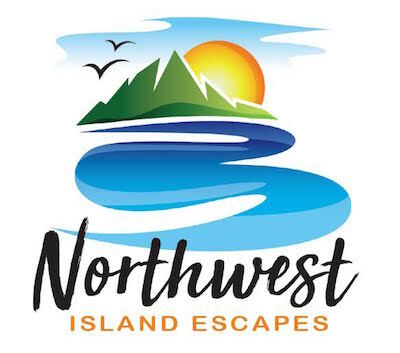 LIMITED AVAILABILITY OF SERVICES (IMPORTANT NOTICE, PLEASE READ) Vacation Doorways makes every effort to provide, and provide timely maintenance and service for, all the amenities listed in this property description. However, at times, due to events out of our control, these services may not be as fast or reliable as our guests are used to on the mainland. Please Read your contract for important additional information about the availability of these services. Welcome to Washington Way Chalet! What a gorgeous shoreline setting. 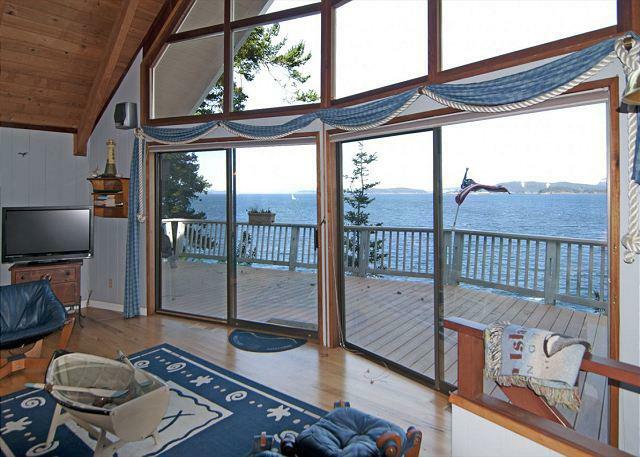 The living room has a panoramic view of the water. The living room with loft above. 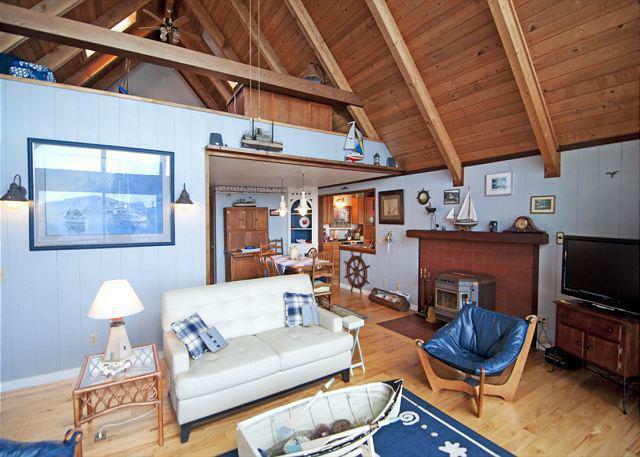 The living room is accented with a nautical flair. The quaint dining room area. The kitchen offers a gas range and is well appointed. 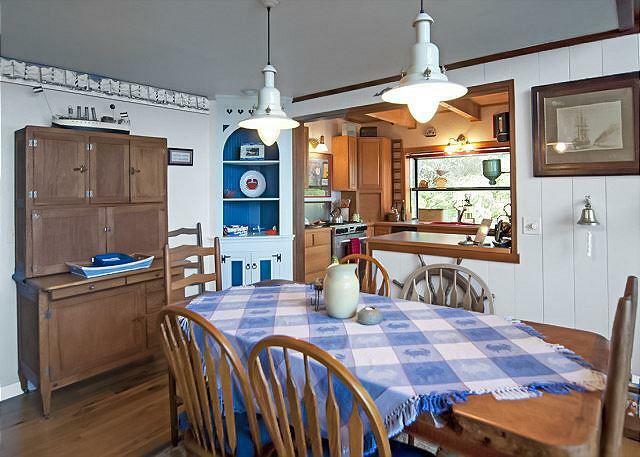 A casual seating area in the kitchen overlooks the deck and the sea. 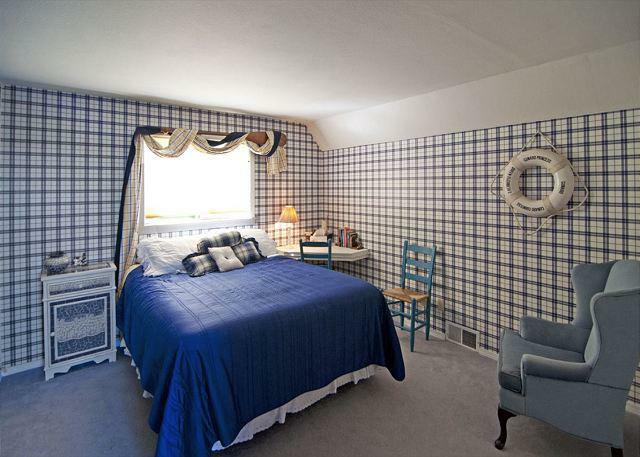 One of the main level bedrooms. The 2nd main level bedroom offers two single daybeds. 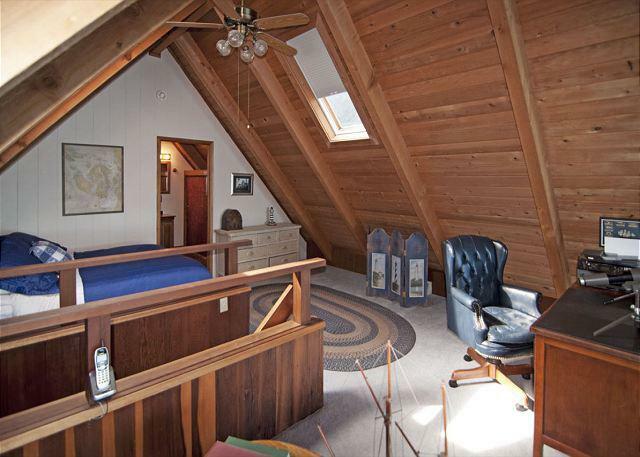 The upper master bedroom loft and desk. The upper level seating area in the master loft. 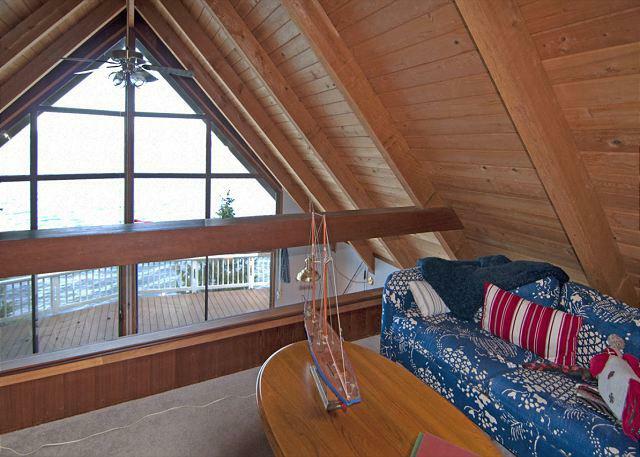 The queen bed in the open loft. 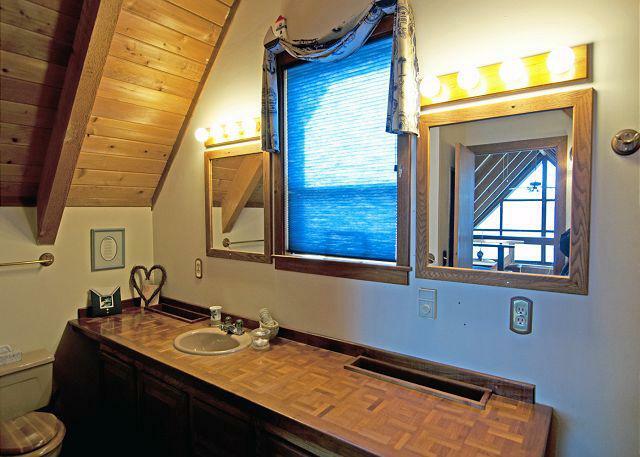 The bathroom connected to the upper loft. 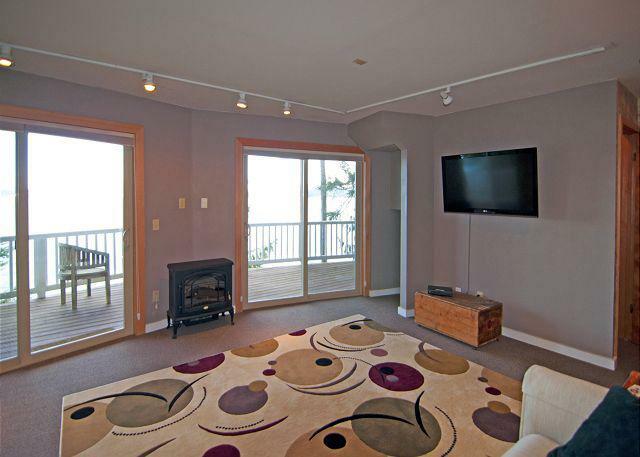 A second TV and gas stove warm the family room. 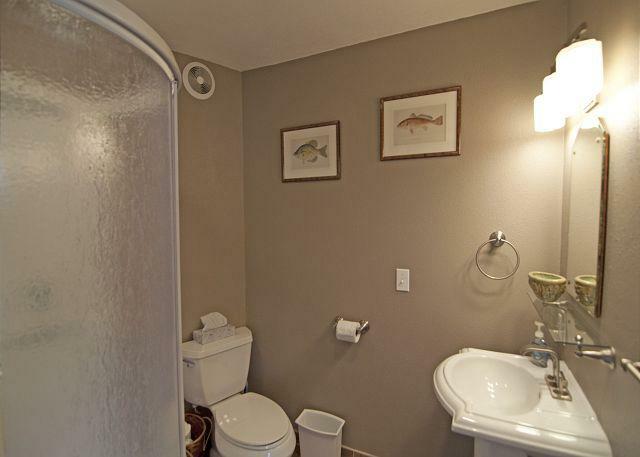 The lower level bathroom has been recently remodeled. 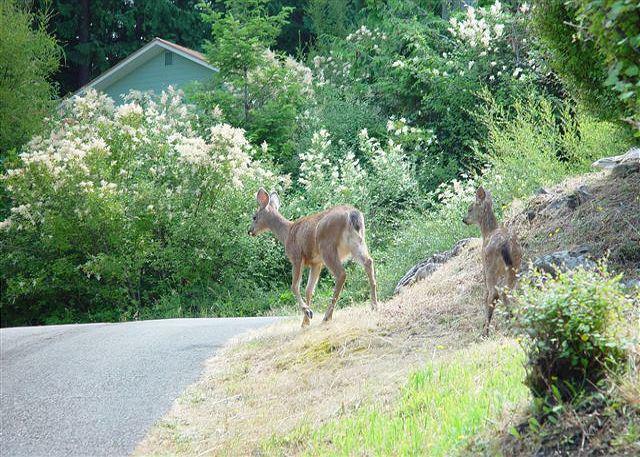 The neighbors often drop by for a visit. 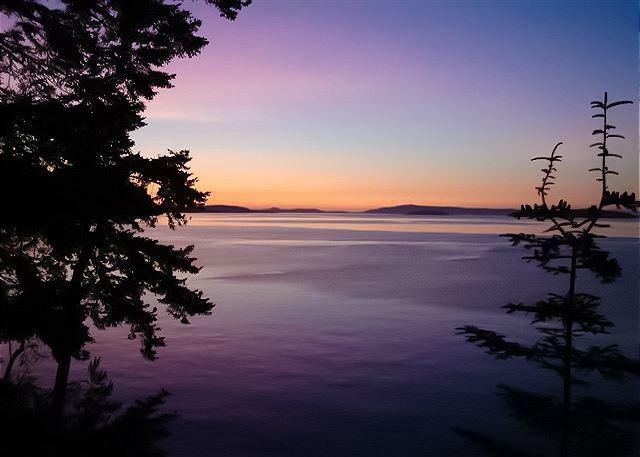 A beautiful sunset over the water captures everything that is wonderful about the Islands.